With the rise of autism comes the rise of treatments available and options for education. Parents are left to their own devices to determine which options are best for their child. This is a huge responsibility for parents with children on the autism spectrum. When a family gets a diagnosis of autism, they are left with a lot of questions and concerns. Education is one of the big concerns they have. Autistic children each have qualities that are unique to them, so their education must be tailored to their own strengths and needs. 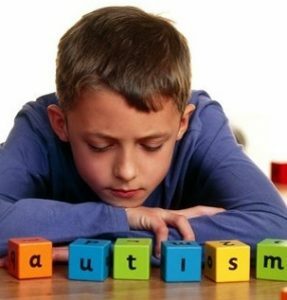 Autism is a disorder that is characterized by deficits in nonverbal and verbal communication, problems in social interactions, and repetitive behaviors. These children often have responses that are unusual to sensory stimulation as well. They may have problems forming relationships, repeat patterns, lack imagination, have a speech delay, or be aloof. Research shows that intervening early is crucial for autistic children. This intervention can be through social skills training, applied behavior analysis, adapted physical education, occupational therapists, and/or speech therapists. A lot of these services are offered through the public schools, but many families opt to hire their own specialists. Once an autistic child is three years old, they are eligible for special education services, thanks to a relatively new federal law. These services can be used by children who are in special education or general education classes. Some parents choose to keep their child in a general education class while others opt to take advantage of the special education classes that are specifically designed for disabled children. Beyond the therapists helping in the classroom, there are other services that are included within the schools, such as behavioral therapists, speech specialists, school nurses, and school psychologists. There are community resources, as well, for older children and summer school. Each of these services is based around the needs of the child. Over time, it’s likely that the services the autistic child needs will change. When a family first receives the diagnosis of autism, the best thing they can do is look into these different services and seek a support system. With the number of cases of autism on the rise, the exposure it is receiving is bringing a lot of research and hope with it. The Kitchen Tiles Are Dirty. Let’s Clean Them!